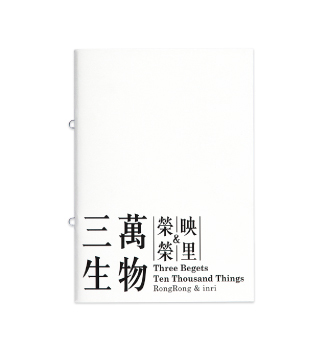 “Three Begets Ten Thousand Things” is the first-ever solo exhibition of one of China’s most important contemporary photographers RongRong and his wife also artistic partner inri in Hong Kong. The exhibition consists of two parts. Part I presented at Blindspot Gallery (Central), will be a selection of RongRong’s most significant series dating from the early 1990s including East Village, Ruins and Wedding Gown. East Village remains key documents of early experimental art and performance art in China as RongRong documented the performances by East Village artists such as Zhang Huan and Ma Liuming. Part II presented at Blindspot Annex (Wong Chuk Hang), will feature a decade of collaborative work of RongRong & inri, including Liulitun , which documents their life in their first home in Liulitun and a funeral they held when their home met the fate of demolition. The couple also documented their travels across China and the world by capturing their naked bodies merged with natural scenery. Other important series including Caochangdi and Three Shadows will also be featured.